On a weekend when rugby results went against the form book it would have been easy for Chobham to be another one of those statistics. 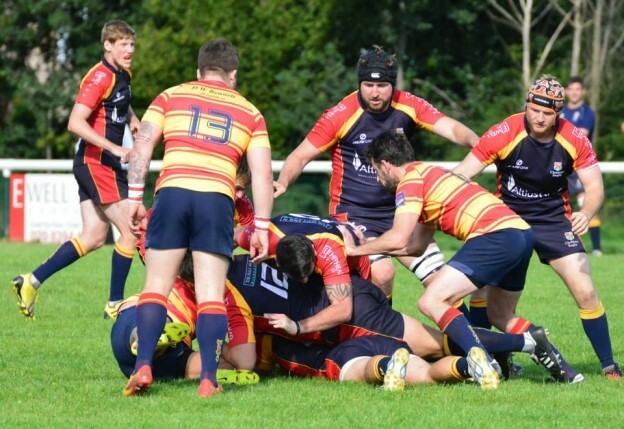 Both sides entered the game with unbeaten records, Medway new arrivals to league have been ruffling a few feathers with wins at Brighton and a crushing victory over Havant so it was to be big test in the Surrey v Kent battle. After only 2 minutes and the first attack, Medway won a penalty try when there rolling maul was brought down although the ball looked over the line anyway. The resulting conversion gave the visitors a 7 point to nil lead. 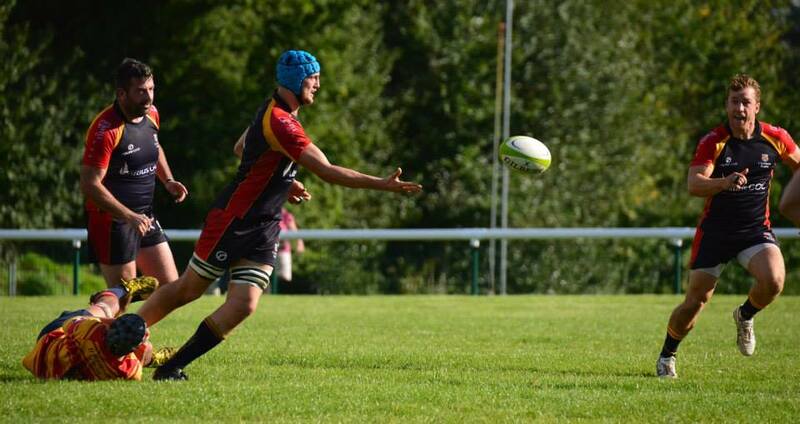 It was not long however before Chobham found their feet and on 5 minutes right wing Liam Monaghan was on the end of a sublime backs move that passed through a dozen sets of hands before his and he as able to dive in on the right hand side. 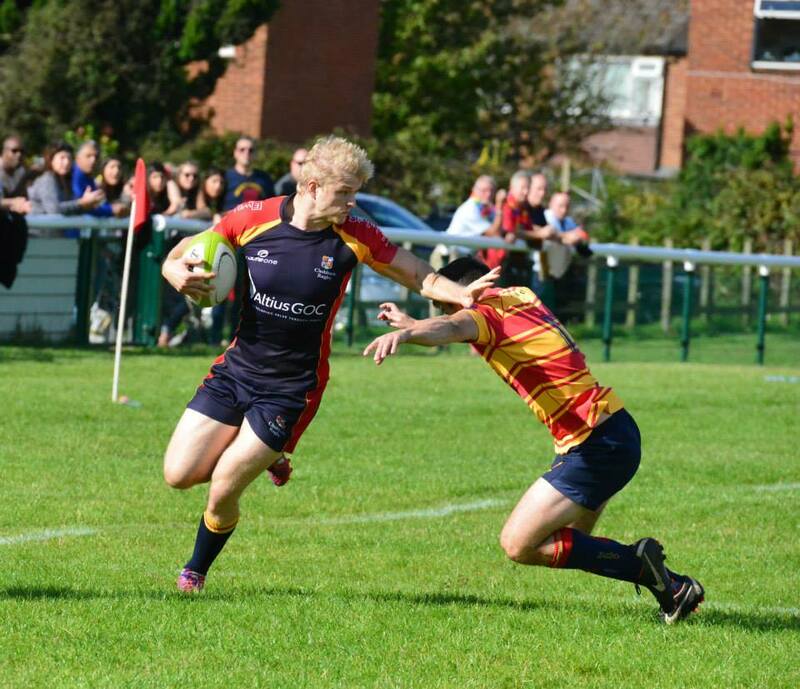 Alex Thomson who has grown into role as first choice fly half slotted over the extra’s. A penalty on 11 minutes gave the lead back to Medway but Chobham were beginning to find their form and another try by Monaghan on 15 minutes and one by Josh Devitt on 24, both converted by Thomson, it was Chobham who were looking the far superior outfit. Within minutes of his try, Devitt was lying in heap on the Chobham 22 having been tackled unfairly by the visiting sides centre, Fred Tila, Tila receiving a yellow card but Devitt having to be taken off the field by ambulance having been lying motionless for several minutes. The game was suspended for 48 minutes while Devitt received treatment and this was to be a major negative on the Chobham performance. Following the break in play, the game had 16 minutes to run and with some excellent work by the Chobham pack a driving maul went over the Medway line, Matt McDougall coming up with the ball and his first score in Chobham colours. Thomson again added the conversion. A further Thomson penalty on the stroke of the revised half time did give Chobham a 31 point to 10 lead. The 2nd half was very flat from Chobham, they were clearly suffering from the injury to Devitt and minds seemed elsewhere. Medway sought to take advantage and scored a further try, Chobham responded the best they could but could only muster a Penalty in response. 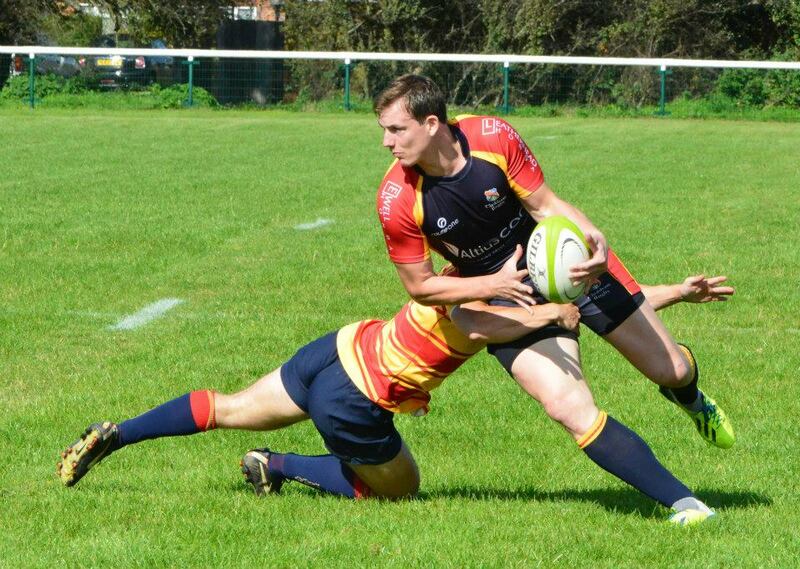 Medway were reduced to 14 men when a familiar name cropped up – Mr Tila who was awarded a second yellow card for another dangerous tackle this time on Chobham full back Phil Williams. Medway did have the final word and scored their third try in the 79th minute, this went unconverted and so Chobham won 34 points to 22. The news on Josh Devitt is much better and he was released from hospital in the early hours of Sunday morning feeling very sore and very bruised. The Chobham medical team must take huge credit for the professional way they dealt with Devitt, they are unsung hero’s of the game.